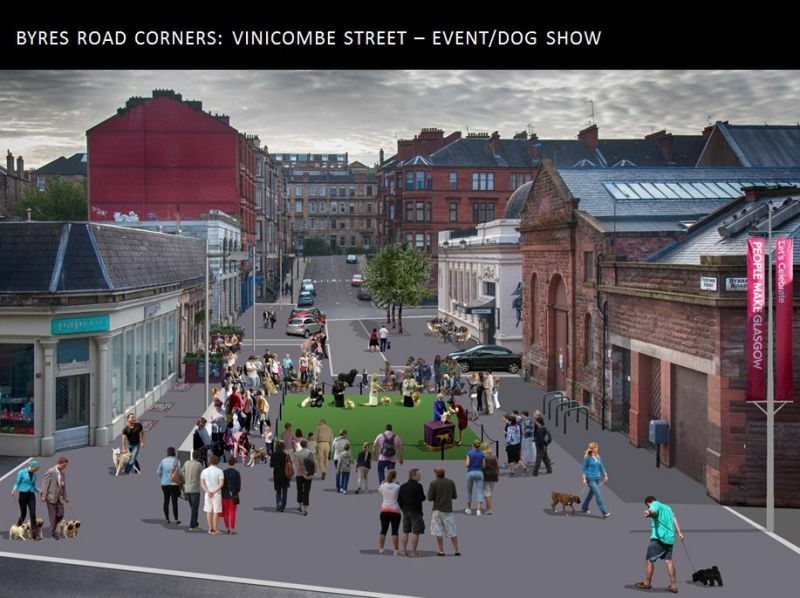 A pilot project dealing with a series of public spaces with a common theme set beside collections of businesses, institutions and residential areas which could not only animate the spaces but also benefit from them through increased business opportunities, better living standards, better standards of external space and improvements to traffic-pedestrian interaction. 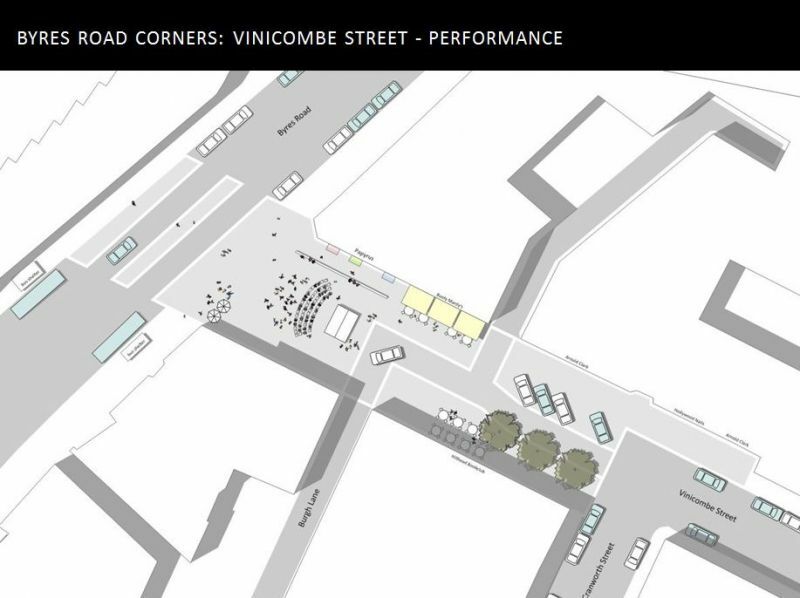 The pilot project emphasised structure and content over aesthetics, the involvement of the local residential, business and cultural communities in developing the brief and the programming of the spaces through a calendar of events. 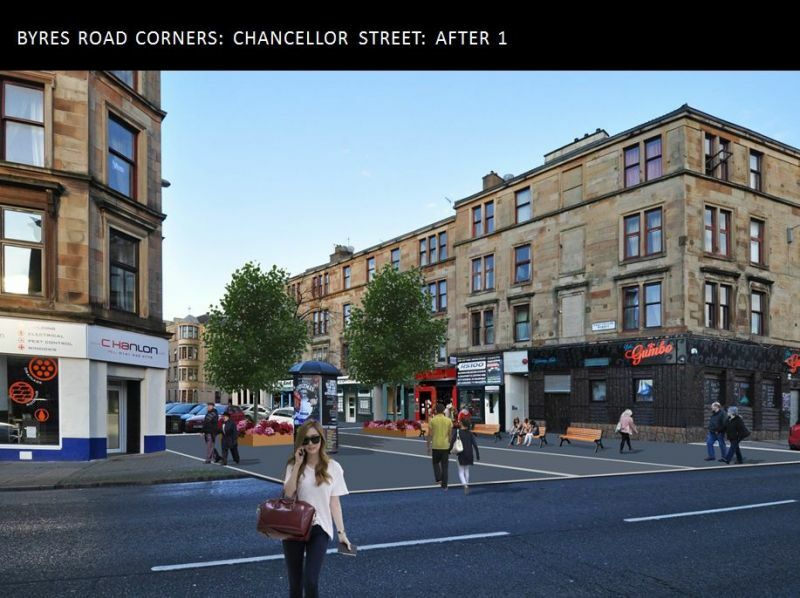 The starting point for this piece of work was the Byres Road and Partick Centres Study for Glasgow City Council that was completed in 2004, a key recommendation of which was the potential for the junctions of streets leading into Byres Road to become the core elements of a public realm strategy – or a social spaces strategy in which genuine civic spaces could be created where none exists. 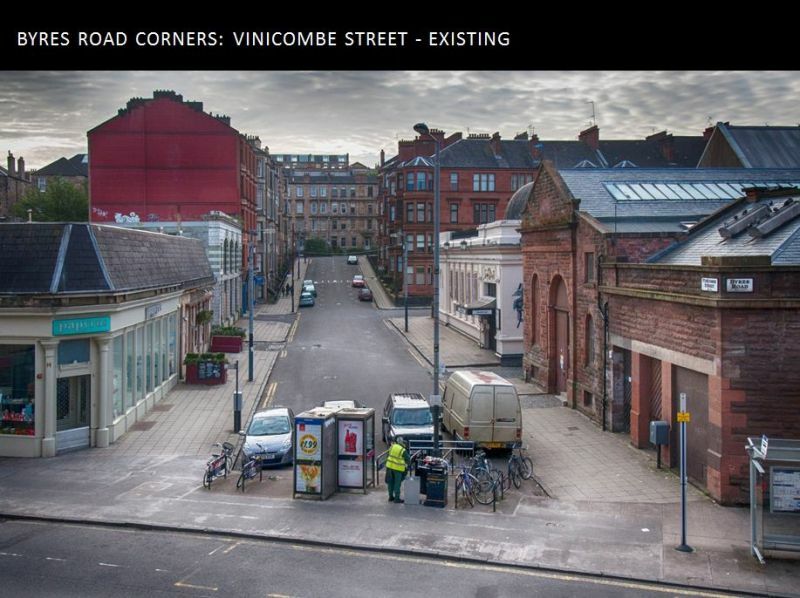 These junction spaces vary considerably in character – some are distinctly social, some might be useful for protest or for selling products, others have become venues for musicians; with others the focus is on coffee and food. What they have in common however, is that they are all conflicted spaces where traffic competes with pedestrians, and as a consequence, they are all prevented from reaching their full potential. It is noticeable however, that each one of those junction spaces is the foreground to considerable business, institutional and residential activity and so the contention being tested during this study was that more activity not only has the potential to animate these spaces, but also create new opportunities for businesses fronting onto them. 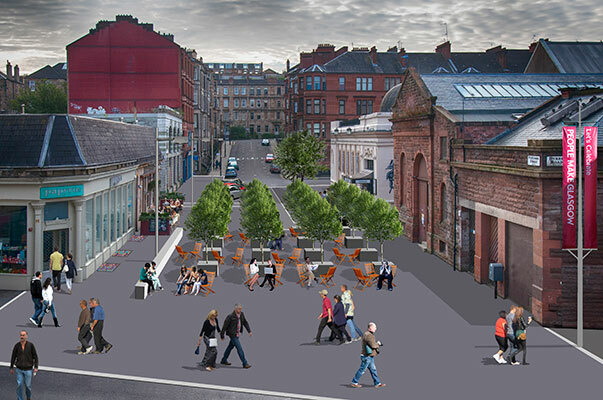 At the same time, improvements to the spaces would provide significantly improved amenity for the residents that overlook the spaces, and generally provide a more convivial experience for people passing through or lingering in each space. 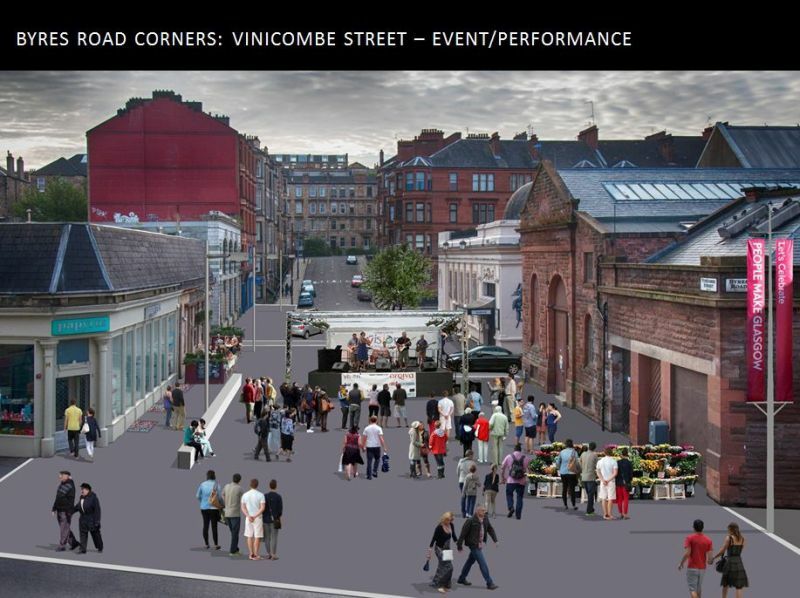 In addition to this, the junction spaces have a history and culture which is easy to overlook but that could potentially be capitalised upon to create valuable, vibrant meeting places in the West End – in turn providing even more economic and social benefits. 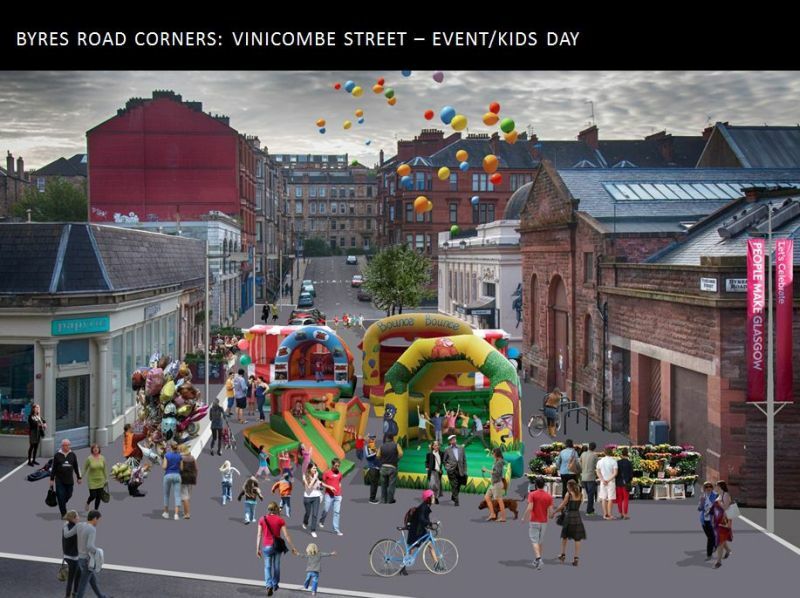 This project was designed as a pilot study for a public space strategy for Byres Road that considers culture, events, animation, traffic, building re-use, activity and the programming of public space, negotiated through a process of community participation. It also seeks to re-dress the balance between vehicle and pedestrian use, in line with the principles of Designing Streets. 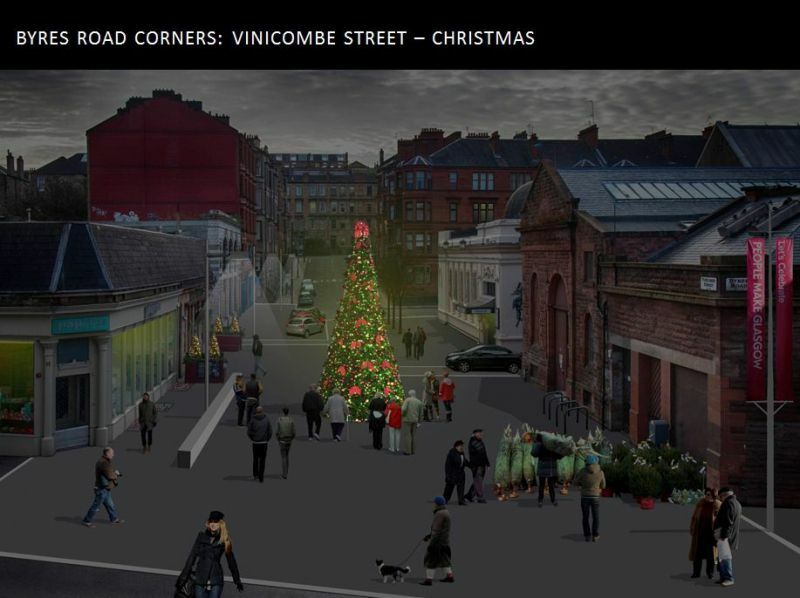 Two exemplar spaces were used for this pilot project – the junctions of Byres Road with Vinicombe Street and Chancellor Street – since they are usefully contrasting in character and cover the two very different sections of Byres Road, north and south of University Avenue. The final output of this piece of work is not a completed design, but rather a costed concept and detailed design brief to guide a subsequent stage of design work and leading ultimately to the implementation of public realm improvements. 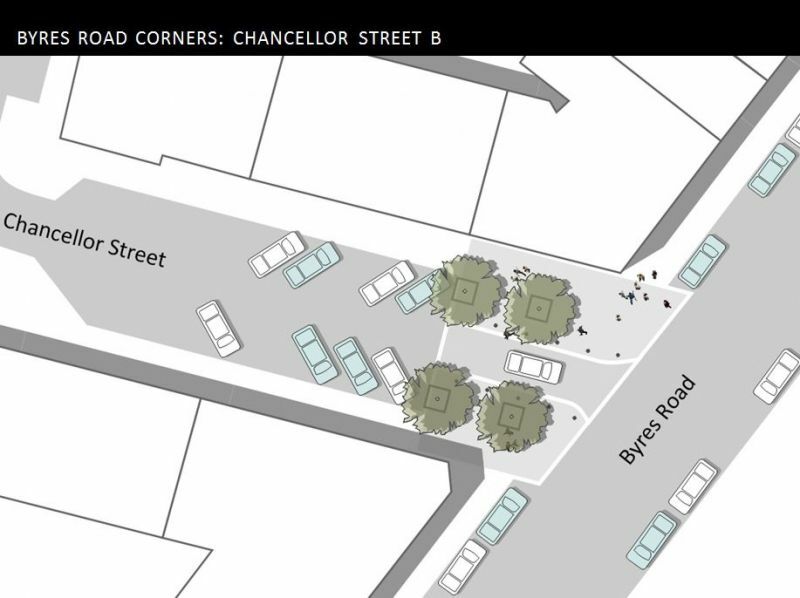 The design brief was used to develop illustrative drawings showing in conceptual terms how the design principles that emerged during the consultation might manifest themselves in a physical design. They show schemes that are inherently flexible in terms of how they can be used, being based on principles of simplicity, elegance and versatility. By using robust materials and avoiding overtly fashion-related features the schemes will be long lasting and straightforward to maintain in good condition. 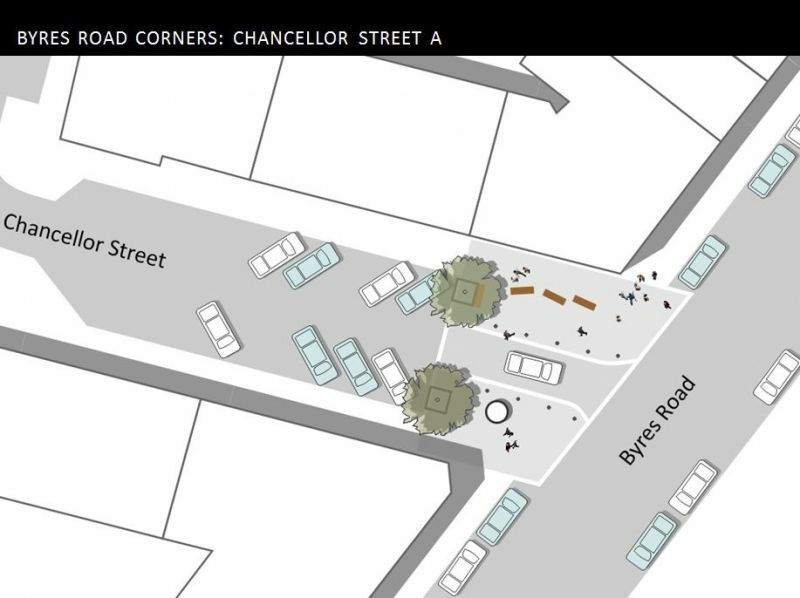 The drawings are shown in the video below. 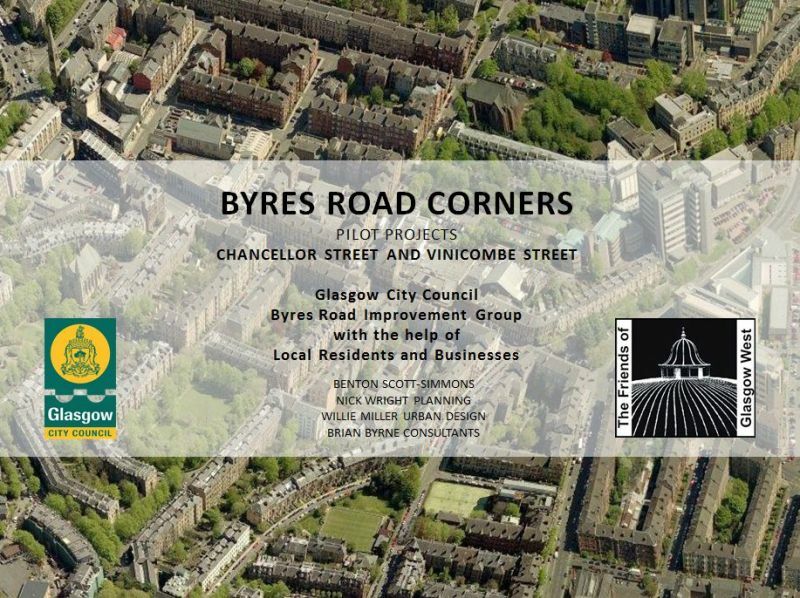 The clients for this work were Glasgow City Council and the Byres Road Improvement Group (BRIG). 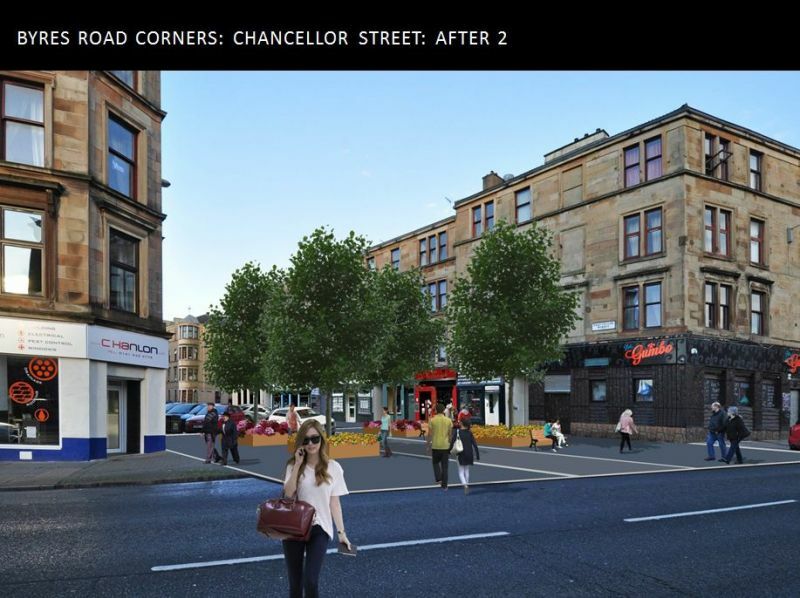 The study team was Benton Scott-Simmons (lead), WMUD, Nick Wright Planning and Brian Byrne Consultants.